NACDS' Anderson Says Retailers and Suppliers' "Health and Wellness Renaissance" is Creating a "Historic, Watershed Moment"
Haiti has disappeared from the front pages of our newspapers, but it will take decades of work to restore the land of these proud people. 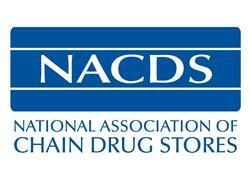 The National Association of Chain Drug Stores (NACDS) demonstrates value to member companies and improves public policy by communicating pharmacy and suppliers’ work to improve lives and society, NACDS President and Chief Executive Officer Steven C. Anderson, IOM, CAE, said today. Anderson delivered his remarks at the 2010 NACDS Annual Meeting. “This industry has been doing some amazing things, but without due credit. It has been like an industry before its time, with innovations and potential that just have not been realized by the rest of the world…Together, we are creating a renaissance. I am convinced people will look back 20 or 30 years from now, and will see these times -- our times -- as a historic, watershed moment,” Anderson declared. “While the law includes important pharmacy issues, the platform that it presented also proved vital. At this very meeting, in past years, we said this debate would give pharmacy a new chance to tell our story. It did, and we seized the moment. Members of Congress really started to get it when we talked about poor medication adherence being responsible for $290 billion in added costs every year. That’s 13 percent of health expenditures. NACDS established pharmacy as a major part of the solution,” Anderson said. He noted the inclusion of pharmacy issues in the new healthcare reform law, including those related to advancing medication therapy management (MTM); softening the Medicaid pharmacy reimbursement cuts under the average manufacturer price (AMP) model; providing a conditional exemption for pharmacies from the Medicare durable medical equipment (DME) accreditation requirement; expanding Medicaid coverage; taking steps to close the Medicare Part D “donut hole”; and maintaining Medicare Part D vaccine coverage. On the Medicaid AMP issue, Anderson said the law validated pharmacy’s strategy to challenge the flawed regulations that implemented the Deficit Reduction Act of 2005, while working to change the law through a long-term legislative solution. He noted that the preliminary injunction won by NACDS and the National Community Pharmacists Association has blocked $5.5 million in cuts to pharmacy each day, and more than $4.6 billion in cuts since January 1, 2008. “Do you want to talk about an issue that is vital to the pharmacy and to the front end alike? Imagine the forced closing of more than 11,000 pharmacies -- 20 percent of all stores. That’s ugly,” Anderson said. In his capacity as Chairman of the NACDS Foundation, Anderson made an announcement on behalf of NACDS Foundation President Edith Rosato and on behalf of the entire NACDS Foundation Board of Directors. He announced a $150,000 contribution from the NACDS Foundation to help the people of Haiti, with $50,000 to be donated to each of the following organizations: Doctors Without Borders; AmeriCares; and Convoy of Hope. ''This reflects the many, many steps that all of you have made to assist Haiti at this time,'' Anderson told attendees. Anderson’s complete remarks are available here. The National Association of Chain Drug Stores (NACDS) represents 154 traditional drug stores, supermarkets, and mass merchants with pharmacies -- from regional chains with four stores to national companies. NACDS members also include more than 900 pharmacy and front-end suppliers, and over 70 international members from 24 countries. Chains operate 37,000 pharmacies, and employ more than 2.5 million employees, including 118,000 full-time pharmacists. They fill more than 2.5 billion prescriptions annually, which is more than 72 percent of annual prescriptions in the United States. The total economic impact of all retail stores with pharmacies transcends their $815 billion in annual sales. Every $1 spent in these stores creates a ripple effect of $3.82 in other industries, for a total economic impact of $3.11 trillion, equal to 26 percent of GDP. For more information about NACDS, visit http://www.NACDS.org .